A mix of traditional, dance, electro, hip hop, and folk songs from around the Sephardic world makes up the Sephardic Music Festival's first compilation album, set for world-wide release on November 30th. Grammy-nominated artist Matisyahu combines a suite of Middle Eastern inspired hip hop riffs with a time-honored Yemenite chorus sung by Yehuda Solomon. Yasmin Levy's impassioned song "Mi Korasón" (My Heart) emphasizes the underappreciated romantic side of the Ladino language. Moshav -- an L.A. based group of expatriate Israeli musicians -- contributes a powerful rendition of the Yemenite wedding song "Abba Shimon" in Judeo Arabic. In addition, Yair Dalal, the world-renowned Sephardic musician who performed at the 1994 Nobel Peace Prize Gala in Oslo, offers a memorable interpretation of the classic Shabbat song "Ya Ribon." Like the Sephardic Music Festival itself, this compilation offers a taste of the amazing depth and breadth of Mizrahi and Sephardi inspiration, culture, and creativity. 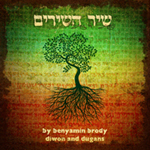 Album tracks incorporate Jewish liturgical and ceremonial texts, Shabbat songs, and classic love poems, as well as original compositions inspired by traditional themes. The album presents a tapestry of harmonies, rhythms, and motifs as rich, vibrant, and diverse as the Jewish world itself. Get Lit for Hanukkah with the 6th Annual Sephardic Music Festival! Move over "I have a Little Dreidel" and "Maoz Tzur"... there is an exciting new sound in the air this Hanukkah. The 6th Annual Sephardic Music Festival will be lighting up the eight nights of Hanukkah in venues around New York from December 1-8. 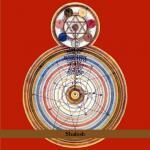 In addition, a Sephardic Music Festival compilation album is scheduled for release on November 30, 2010. Founded by American-Israeli producer Diwon, the Sephardic Music Festival is the first Jewish music festival to focus exclusively on Sephardic music and culture. It showcases artists from around the world including the latest Mizrahi, Yemenite, and Ladino musical talent. In addition to traditional Sephardic folk music, the festival offers a platform for performers whose music fuses traditional Sephardic rhythms, melodies, and motifs with modern musical styles. 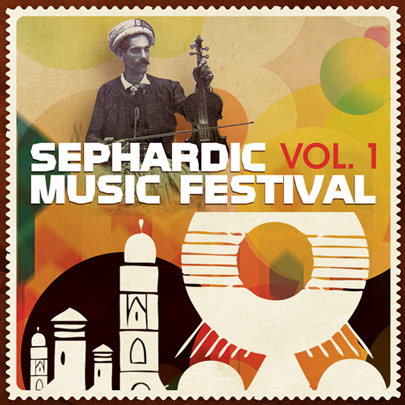 The Sephardic Music Festival’s first compilation album is set for release on November 30. 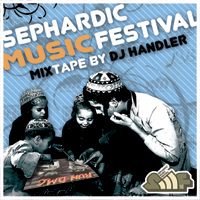 Selections range from traditional Sephardic folk songs to hip hop, electro, and dance music. 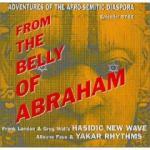 Album tracks incorporate Jewish liturgical and ceremonial texts, Sabbath songs, and classic love poems, as well as original compositions inspired by traditional themes. Grammy Nominated artist Matisyahu combines a suite of Middle Eastern inspired hip hop riffs with a time-honored Yemenite chorus sung by Yehuda Solomon. Yasmin Levy's impassioned song "Mi Korasón" (My Heart) emphasizes the underappreciated romantic side of the Ladino language. Moshav -- an L.A. based group of expatriate Israeli musicians – contributes a powerful rendition of the Yemenite wedding song "Abba Shimon" in Judeo Arabic. In addition, world renowned Sephardic performer Yair Dalal -- who appeared at the 1994 Nobel Peace Prize Gala in Oslo -- offers a memorable interpretation of the classic Shabbat song "Ya Ribon." Like the Sephardic Music Festival itself, the compilation album highlights the remarkable diversity that exists within the Jewish community. While other Jewish music festivals focus mostly on Ashkenazi tunes, themes, and beats, the Sephardic Music Festival offers a fascinating exploration of Sephardi music and culture from around the world. Popular perceptions of Jews and Jewish culture are dominated by Ashkenazi images and symbols – Bagels, Gefilte fish, Klezmer, and Yiddish. Such stereotypes do not accurately reflect the totality of the Jewish experience. A world of untapped Jewish culture, creativity, and inspiration can be traced to the Jewish communities of North Africa, the Middle East, and Central Asia. Whether in person or on CD, the Sephardic Music Festival presents a tapestry of harmonies, rhythms, and motifs as rich, vibrant, and diverse as the Jewish world itself. 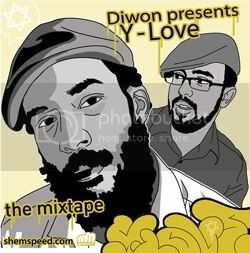 The music mixes the emotive Moroccan singing of Benyamin Brody in a "call out" to the most high, through the writings and poetry of King Solomon, with Diwon's and Dugans' signature walls of sound that bring hip hop, rock, and mizrachi influences to this middle eastern meditative record. 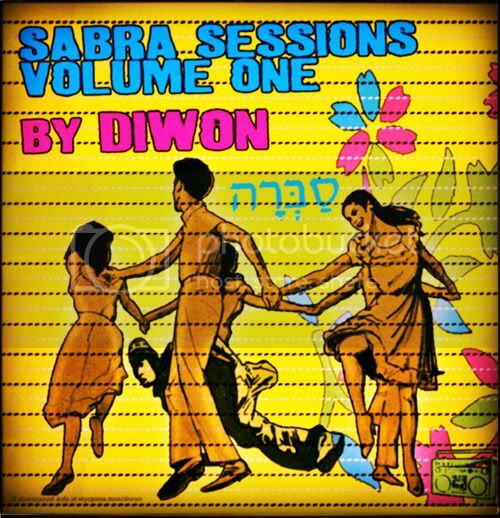 This record give the listener a taste of Diwon's beats as well as his world famous remixes which bring hip hop and bmore rhythms to Yemenite & Sephardic sounds. Smadar is NYC's amazing arabic songstress. 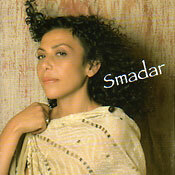 Smadar's music is best described as rhythmic Mediterranean music peppered with a gypsy sound. She is a favorite of the SMF! 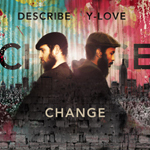 The combination of Y-Love's militant mysticism with the plaintive urgency of DeScribe's singing creates infectious energy filled songs that listeners can't get out of their heads. The release includes all 3 singles plus a bonus Remix of by Sephardic Fav DJ/Producers; Diwon & Electro Morocco. The SMF mixtape is much like the festival. 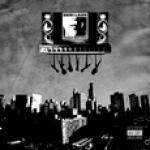 It gives the listener a great taste of all sorts of music, but with an emphasis on beats. All music mixed by the festivals founder and producer, dj handler. 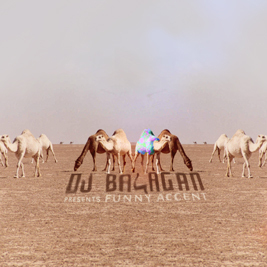 DJ Balagan mixes up the most diverse bag of music from any DJ we have ever come across. He is the ethnomusiclogist with a turntable.. This mix shows his talents on the decks, but perhaps more impressive, his amazing ear for the rare ethnic groove. Basya Schechter of Pharaoh's Daughter releases an instrumental record for Zorn's tzadik full of middle eastern flavor. Santur and Oud bless this disc throughout. 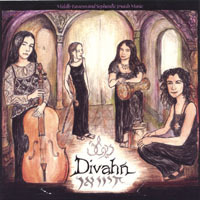 The group distinguishes itself as the only all-female ensemble performing Mizrakhi-influenced music (Jewish music from the Middle East and North Africa) in the US, and has performed with some of the world's most renowned master musicians, including Glen Velez and Anindo Chatterjee. 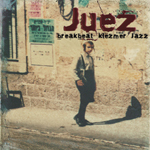 Juez may be a klezmer band. They may be the best klezmer band ever, but they play two amazing Yemenite tunes that will throw you for a spin. Diwon (dj handler), the Capitan of the SMF, drops african and balkan music all over this amazing mix which will take you through the musical mind of one of the most diverse DJs in the new new york scene. Yuri Lane doesn't belong to the ashkenaz or sephard camps he belongs in every camp with a mic. Check out his Middle Eastern BeatBox. With its exciting blend of rock, jazz and jewish music, Rashanim has quickly become one of the most dynamic bands in the Jewish New Music scene. Tighter than ever, this Jewish power trio rips through an electrifying program of mystical jewish melodies and middle eastern grooves. Combining Sephardic folksongs from around the Mediterranean with contemporary influences such as rock, funk, and jazz, the Sarah Aroeste Band's second album, "Puertas," presents an updated take on traditional Ladino songs. Blending electronic music with hard-edged folk music from the Balkans, North Africa, and the Middle East, the exciting and internationally acclaimed collective Balkan Beat Box is out to prove that all the world is indeed a stage -- and that we are all gypsies. 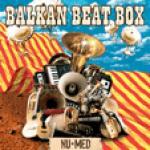 BBB's new record, Nu Med is a musical vision of what the Mediterranean would sound like if borders were removed, as BBB makes connections that politics often keep separate. Jewish, Gypsy, Arabic, and American are united by hip hop beats and dancehall toasts. 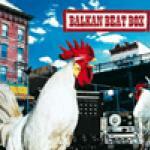 Simply the best Jewish Beat Box/Hip Hop album ever! 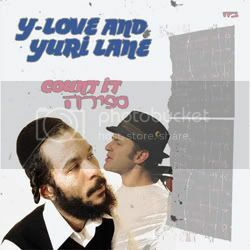 "During a time when Orthodox Jews refrain from listening to live music - famous Orthodox rapper Y-Love and beatbox superstar Yuri Lane create all their music non-instrumentally. Check out Bar Yohai!!!! The classic CD that introduced Y-Love to the world. The MC drop his lyrical skills over a genre smashing blended classic mixed by dj handler (Diwon). The New York Sephardic Music Festival (NY-SMF) seeks to increase interest in and awareness of the Sephardic culture, including Mizrahi, Yemenite and Ladino traditions, highlighting the diversity that exists within the Sephardic branch of Jewish culture and history. The latest Sephardic musical talents in the U. S. will be showcased, working to reinvigorate the thriving Sephardic culture that exists and is waiting to be re-discovered. Our goal is to give people the opportunity to learn and enjoy this rich, sensual tradition that has the power to make hips shake and souls soar.